SOUTH BRONX, NY, August 15 -- Lost in the late Friday coverage of the handover of Colonial BancGroup to BB&T was the way that this acquisition of a $25 billion bank was shielded from any public comment or consideration of the Community Reinvestment Act. The CRA of 1977, which requires that regulators consider public comments on banks' records of serving low and moderate income neighborhoods when they apply for approval for mergers or expansion, has been ignored on a number of large acquisitions, such as JPMorgan Chase's pick-up of Washington Mutual. Click here for an Inner City Press story on the aftermath of branch closings. At that time, the regulators were in crisis mode, so to some the waiver of applicable law was more understandable. Now under a new administration which says the recovery has begun, the law is again waived, for a bank whose chairman has ridiculed the CRA while engaging in predatory lending through BB&T's Lendmark subsidiary, sure to expand into new markets through this acquisition. 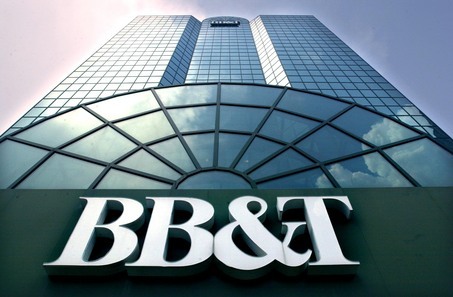 There has been no mention of any post consummation consideration of BB&T's record or any CRA plan it might have. If this is the new era of financial regulation, it is worse not better than what came before. BB&T's chairmanJohn Allison gave a speech on January 29 in which he blamed the CRA for the financial crisis. This is more than a little ironic, given BB&T's engagement under Allison in subprime lending. When the Bronx-based Fair Finance Watch documented to the Federal Reserve that BB&T's banks referred turned-down loan applicants to their high-cost subprime affiliate Lendmark Financial Services, during the public comment period on BB&T's application for approval to acquire Georgia's Main Street Banks, the Federal Reserve ignored the issues. Click here for 2006 coverage from Inner City Press, and here in 2009 for Lendmark's own website, still reciting "non-conforming mortgage loans" from "104 branch locations throughout Georgia, Tennessee, Virginia, Maryland, Florida, North Carolina, South Carolina, Kentucky, West Virginia, and Delaware." Footnote: In Pittsburgh, the FDIC handed over Dwelling House S&L Association to PNC Bank with even less fanfare, and also no mention of CRA. Next month the finance ministers of the largest economies convene for a meeting of the so-called Group of 20. In a city crippled by foreclosures on predatory loans, and now the site of the U.S.'s waiver of one of its few laws meant to crack down on the mis-service of lower-income borrowers, there will be talk of improving the regulation and supervision of banks. But it will be empty talk, and there will be protests. Watch this site. SOUTH BRONX, August 1 -- In Washington and New York, there is talk of an uptick in the national housing market and a curtailment of controversial subprime lending by such wounded giants as Citigroup. On July 31, Inner City Press asked the International Monetary Fund about the regulation of subprime lending in the United States, yielding a rosy answer about consumer protection. But a mortgage broker in Knoxville, Tennessee long known to Inner City Press tells a different story on both fronts. He has in the past been sued for whistleblowing about Citigroup, and so will remain nameless in this article. But he knows Citigroup's subprime business well, having worked for and then against its consumer finance subsidiary CitiFinancial. Reflecting the collapse of the housing market, he compares 2006, when he closed over 100 home purchase loans, with the year to date 2009, in which he has closed only six such loans. His income from fees has plummeted, and he faces a car repossession by Wells Fargo (which he calls Hells Fargo). Still he laments others' problems more than his own, describing to Inner City Press a sample CitiFinancial loan in Knoxville. "They raked her at twelve and a half percent," he said, referring to a 63 year old African American woman who was also charged $7,000 in fees. "This is after they took TARP bailout funds, they won't show any flexibility and she's about to lose her house." He describes another borrower who has a $1700 personal loan from Citifinancial at 25.5% interest, and a $6,000 loan at 16% from Washington Mutual Finance, which CitiFinancial bought. The loans were consolidated at the higher CitiFinancial rate of 25%. "They're still up to their predatory lending," the maverick broker says. Even with the go-go years over. Inner City Press: What do you think of the proposal by the Obama Administration of the economic effect of separating prudential regulation of banks from consumer protection? It's pending in the House. I was told that the IMF will have some view on that and you are the guys to ask. What can you say to that? Inner City Press: To the degree that unregulated subprime lending in some cases by bank affiliates at least triggered or started the rumblings of this. What protection do you think should be in place so that that doesn't happen again? Whether these moves will help people for example in Knoxville with 12.5% mortgages and 25.5% personal loans from CitiFinancial remains to be seen. 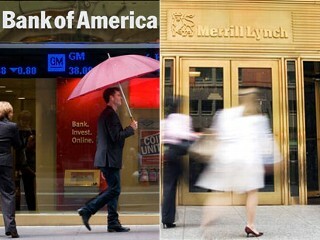 NEW YORK, July 28 -- Bank of America's government subsidized takeover of Merrill Lynch will now lead to the closing of 600 neighborhood bank branches, it emerged on Tuesday. B of A spokesman James Mahoney said, "'what we are heading to is a model where we have fewer but more robust branches that incorporate the investment and mortgage services that we have picked up with the acquisition of Merrill Lynch'... People are accessing their money in new ways and have less need for the traditional neighborhood branch." But is this lesser need for bank branches true in the lower income communities of color which Bank of America claims to care about? If anything, it has been the lack of bank branches with normally priced credit which drove residents of such neighborhoods to the subprime lenders, many of them funded and enabled by Bank of America, which set off the financial crisis. Click here for an Inner City Press story on B of A's subprime ties. As Bank of America has fallen under financial, regulatory and finally Congressional pressure, it has been jettisoning its stance on the Community Reinvestment Act. In April of this year, and still unexplained by Bank of America, B of A chief financial officer Joe Price told stock analysts on a recorded conference call that while "CRA" loans are only 7% of B of A's portfolio, they were 24% of their losses. Click here for audio, Price made his statement at Minute 26:25. Price's name shows up in the contexted e-mail chain about the government's pressure on Bank of America's top officials, using their desperation to keep their jobs and perks, to consummate its subsidized takeover of Merrill Lynch. Now that acquisition is cited by Bank of America as a reason they will move to close down neighborhood bank branches and consolidate into larger facilities with Merrill's investment services, presumably in more affluent areas. Would the same regulators who pushed Bank of America to close the Merrill acquisition credibly constrain B of A from the branch closings the bank says flow from the deal?